PLANO, Texas, Nov. 8, 2018 – Allied BioScience, a Plano, Texas-based biotechnology company announced today it has received an approved label from the U.S. Environmental Protection Agency (EPA) for SurfaceWise™, a new bacteriostatic surface coating that inhibits the growth of and provides continuous protection against bacteria, fungi (mold and mildew) and algae which cause odor, staining and discoloration in various commercial settings, including hospitals and sports facilities. The EPA's decision to register the product is based upon a robust scientific review of effectiveness, toxicity, and safety data for SurfaceWise™. 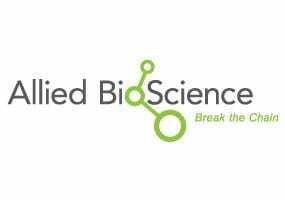 "This is an exciting, much-anticipated milestone for our company that wouldn't be possible without the ongoing collaboration we've been pleased to experience with the EPA," said Mike Ruley, Allied BioScience CEO. SurfaceWise™ is a revolutionary, transparent coating that can be applied to a variety of surfaces. This novel surface modification system is non-tacky, odorless and colorless. It is designed for use in a variety of commercial settings, including hospitals, sports facilities, dental and veterinary offices, schools, daycares, health clubs and offices. Currently, research and development efforts are underway in U.S. hospitals, offices and sports facilities. "We are proud to be on the leading edge of these efforts with Allied BioScience and have appreciated participating in first round clinical trials at our two largest hospitals. Congratulations to the team at ABS on this important registration." Pamela Stoyanoff, SEVP – Chief Operating Officer, Methodist Health System, Dallas, TX. SurfaceWise™ provides an invisible barrier that is effective on modern hard, non-porous, non-food contact, washable surfaces made of fiberglass, glazed porcelain, Formica®, stainless steel, and synthetic marble, and on hard, non-porous, washable bathroom and non-food kitchen surfaces and fixtures around the home. As an invisible bacteriostatic coating, SurfaceWise™ can be used on many items, including bed frames, mattresses, wheel chairs, over bed and examination tables, nursing carts, chairs, baby furniture, child car and booster seats, strollers, cribs, athletic mats, hand weights, weight lifting machines/equipment and benches, turf flooring, bathroom counters, grocery carts, desks; dental exam tables, carts, chairs; and animal cages, exam tables and carriers. This technology can also be applied to soft surfaces, such as bedsheets, carpets, draperies and shower curtains. Allied BioScience is dedicated to developing innovative solutions with sound science, to create cleaner human environments. Founded in 2005, today ABS leads the way in the development of surface coating technology that inhibits the growth of bacteria, fungi (mold and mildew) and algae.